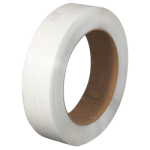 16 in x 6 in CWC machine grade polypropylene strapping is the perfect choice for machine applications. Meeting the specifications of many strapping machine manufacturers, it features distinct strength and stretch capabilities. 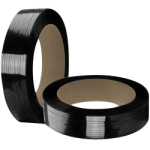 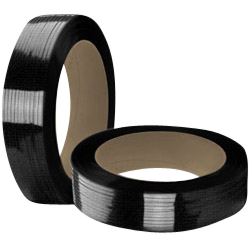 CWC Polypropylene Strapping - 10.5 mm x .024" x 8000' Black 16" x 6"
CWC Polypropylene Strapping - 10.5 mm x .024" x 8000' Clear 16" x 6"